Agate Export have unique desgins for Chakra Engraved Disc Set With Card Box. 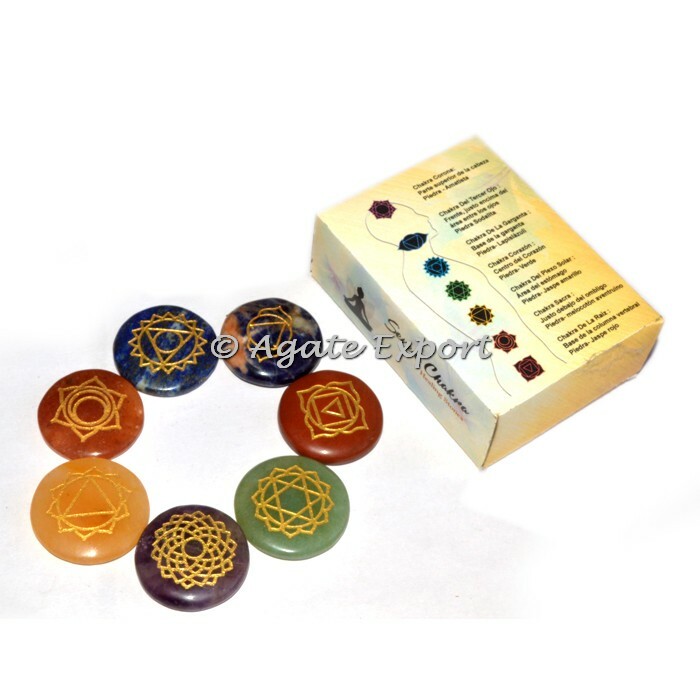 It is used in balancing you energy and focusing on specific areas of the mind, body and spirit. The variety of the stones ranges from Amethyst, Aventurine, Black Tourmaline, Citrine Quartz, Jasper Brecciated, Moss Agate, Red Jasper, Rose Quartz, Sodalite, Tiger Eye, and are naturally colored. Place your order online. 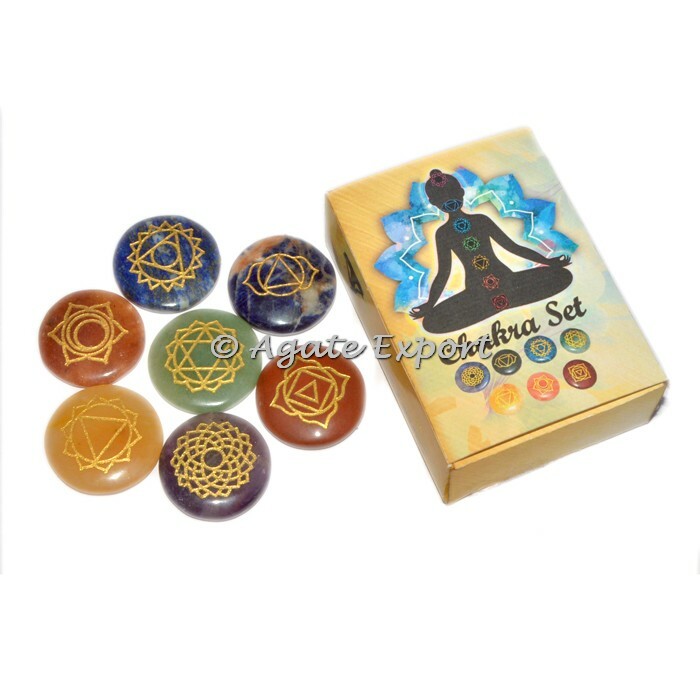 This chakra set can be customized as per your preference for logo and design.